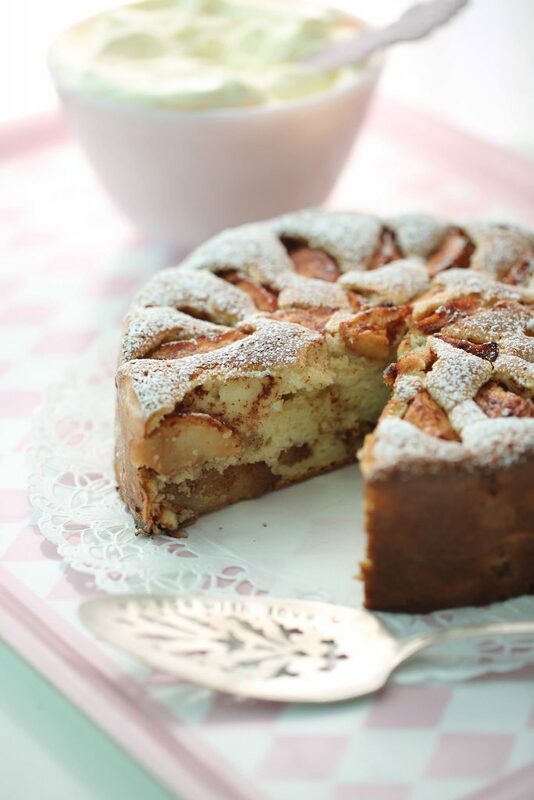 This apple cake is a classic. I got this recipe from my mom many years ago, she found it in a Norwegian magazine. I made a minor change to the original recipe by adding lemon juice to the cake batter and I added almond paste to the cake batter. 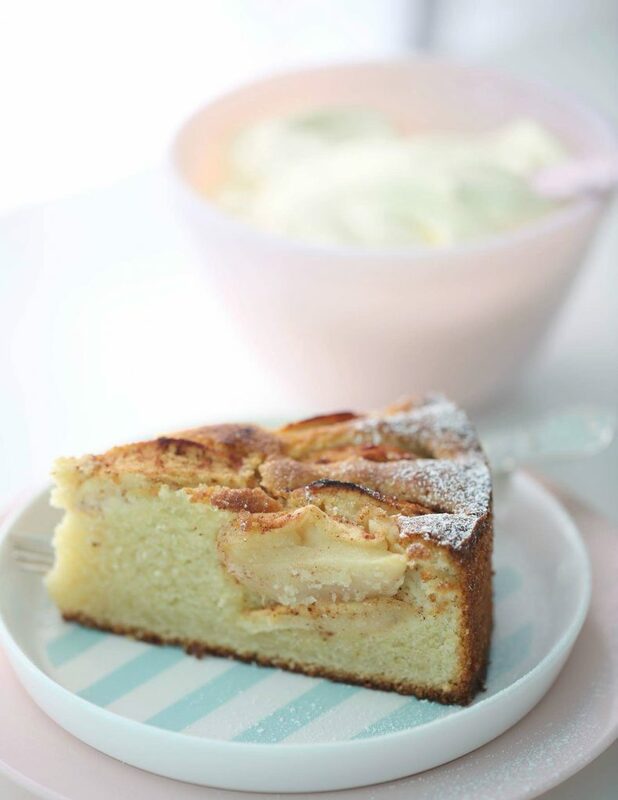 I love how the crunchy almond paste compliments the apples and vanilla sponge cake! After baking, Mom would glaze the cake by spreading warm apricot jam on top, giving the cake a beautiful shine. 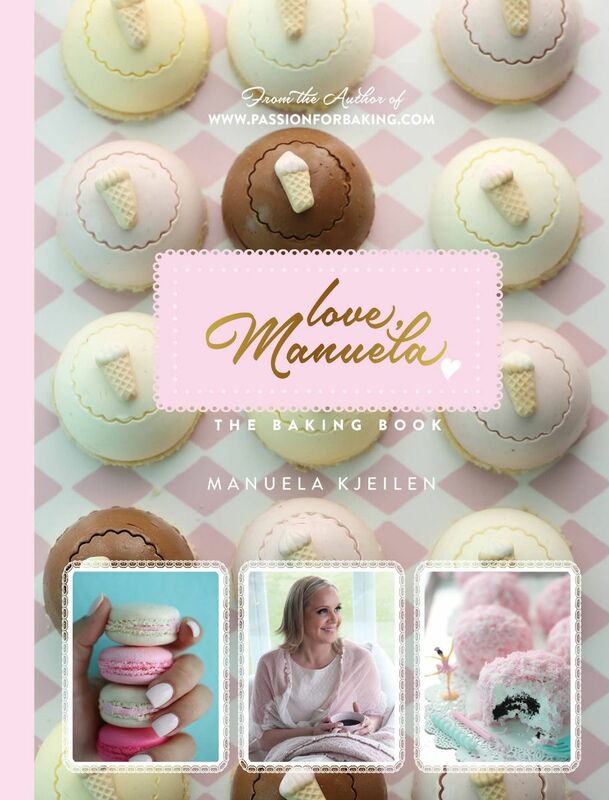 However, I prefer dusting the cake with confectioners’sugar and serving it with vanilla cream or ice cream. Grease and line an 8-inch springform pan with parchment paper, and set aside. Peel, core and slice the apples into 1-inch slices. Toss with cinnamon, sugar, and lemon juice. Set aside. In a bowl blend together ground almonds , confection sugar, egg white, heavy cream and vanilla, and set aside. In a medium bowl, sift the flour and baking powder, twice; set aside. In a bowl of a standing mixer fitted with whisk attachment, beat the eggs and the sugar for 5 minutes. Add lemon juice and vanilla and beat for 2 minutes more. The batter should be very thick, and when the whisk is lifted, the batter should ribbon back into the batter in the bowl. Remove the bowl from the standing mixer, and add the creme fraise, combine using a silicon spatula. Sift half the flour mixture over the batter and gently combine with a spatula to ensure the flour mixture is fully incorporated. Be careful not to deflate the batter. Repeat with remaining flour mixture. Pour half the batter into prepared pan. Spread half the apples (without juice) on top of the batter. 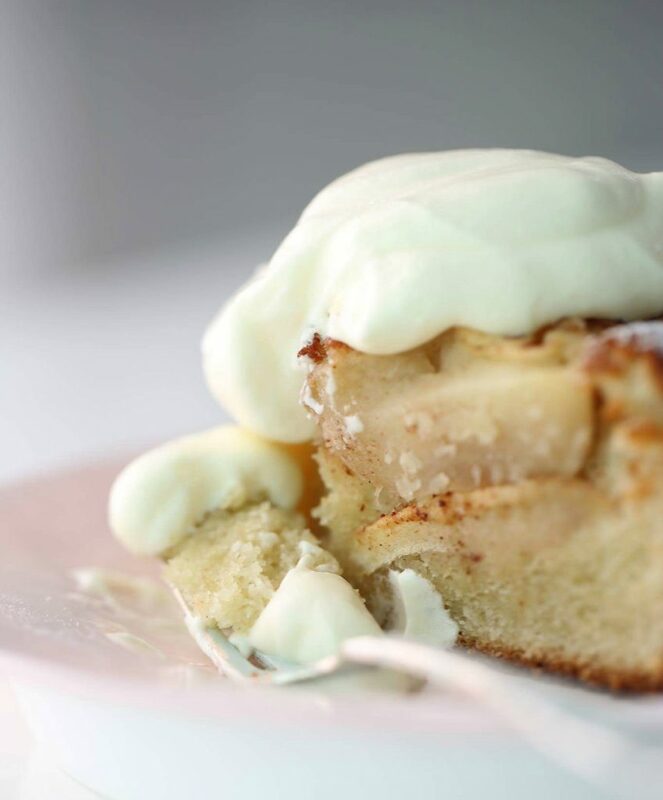 Drop almond paste by teaspoonful over the apples. Pour the remaining batter over the almond paste. Arrange remaining apples on top. Bake on the middle rack of oven 45 – 55 minutes, or until a cake tester comes out clean. 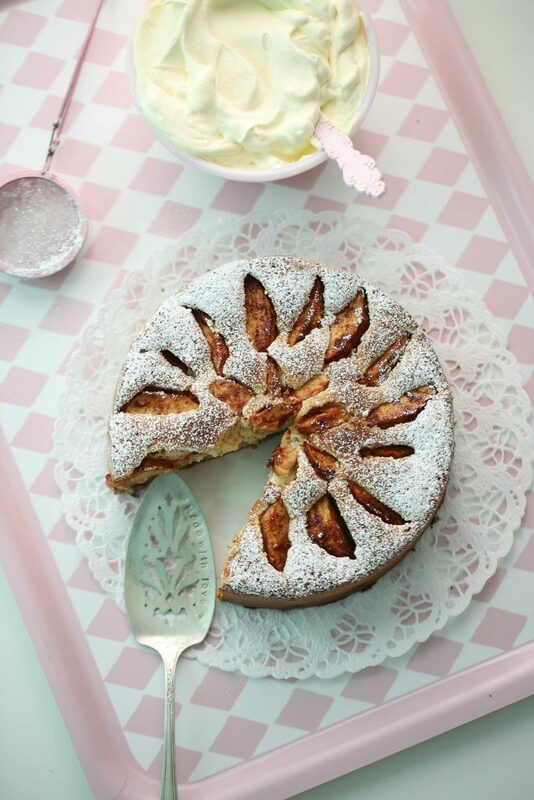 Right before serving, dust the sides of the cake with confectioners’ sugar or spread some warm apricot jam on top. 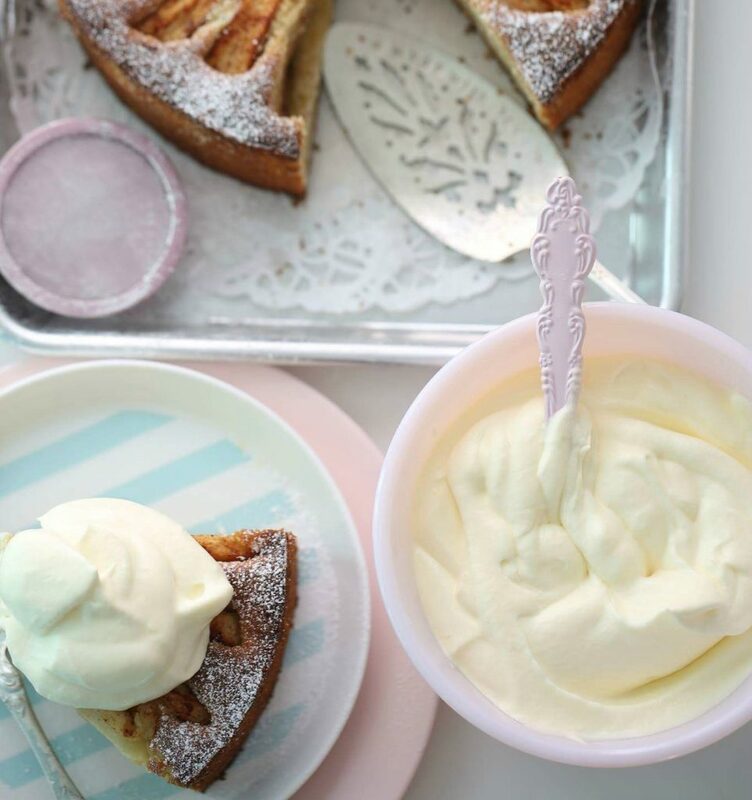 I like to serve this apple cake with Vanilla Cream get the recipe for that here.